Doug Sabo has been guiding individuals and groups on wilderness personal growth treks for over 25 years. He has pursued personal growth opportunities and men's work throughout his career and enjoys sharing these insights, experiences and techniques he's learned with others. A pivotal adventure in his life was in the late seventies traveling from Southern California to Northern Minnesota by boxcar, "a true Huck Finn adventure." It's during that time he witnessed the power of transformation through adventure travel and photography. In 1990, Doug began guiding for outdoor behavioral healthcare programs, followed by founding Soltreks in 1997 with co-founder Lorri Hanna. 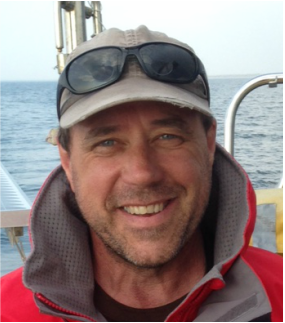 Doug guides individuals seeking meaningful life changing opportunities through sailing expeditions, sea kayaking and wilderness canoe expeditions. He is a Licensed Captain of the S/V Imagine. "It's in my nature and heart to sincerely guide others to discover their true self while exploring nature and the beauty that surrounds them.